Heart break averted!! Seldom seen solder/braze weakness repaired. I went to an average Hardware store to see if these are easily available. I got mine from an old neighborhood hardware store discussed in an earlier blog. I asked them if they have a large rubber stopper, and “Yes” was the answer. the biggest one they had was 2 1/4″ across the widest part. Great! Drill a small hole into the top of the stopper and screw in an eye hook that is quite long. the one in the pix is about 1/4″ X 3″ long, It is screwed in almost the entire depth of the stopper, here’s why: If you use a little eye-hook and have large hands, you’ll have a hard time grasping it and it might pull out of the stopper. (although my oldest version of this stopper has a sheet rock screw with a wire wrapped around it and then made into a finger loop of a double turn. it worked fine, but the wire rusted. 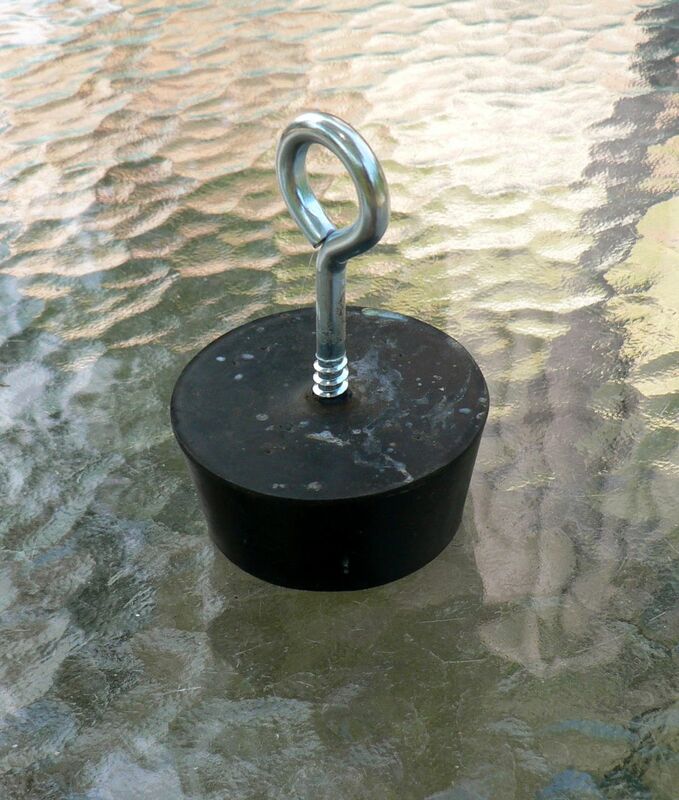 Total cost: stopper $2.75 + eye hook $1.09. You have to tap the stopper in tightly, I use a piece of dowel and tap around the outer edge of the stopper(not hitting the bell flare) with a leather mallet. It is quite snug. It may leak if your throat is badly out of round, (It stops about where your bell brace is on the outside of the flare). The reason you want the pulling hook is that there is more friction there than at the leadpipe air valve stopper. (OBTW, I stopped by a bicycle store and they said they would give me a ruined tube, No charge) You want the Schrader valve not the Presta valve because it is smaller at the base than the opening in the leadpipe. Under pressure the Leadpipe air stopper will pop out before the bell flare stopper. If anyone uses the Tubbs “GAS” system or another more elegant system it would be fun to hear the places that you have found leaks. 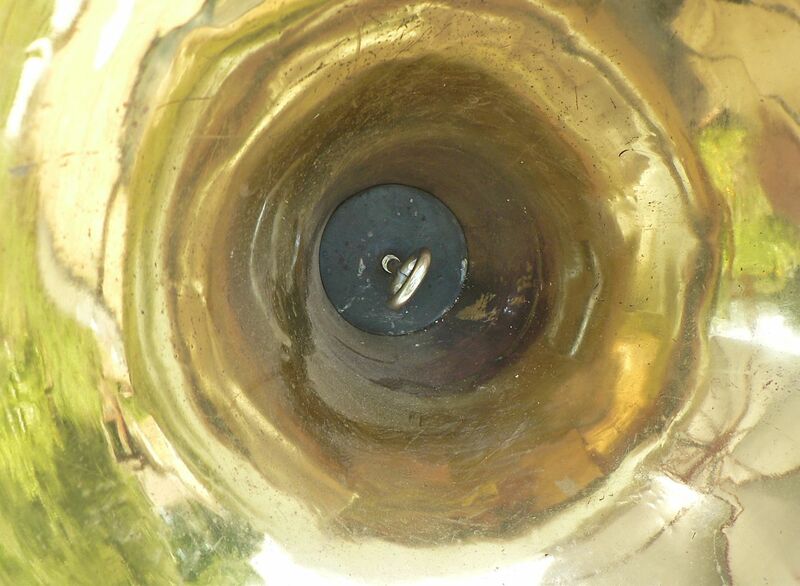 Once, I had a leak under the leadpipe brace on a Conn 8d, apparently, in the horns life, the leadpipe had taken a good hit, and punched in the first branch under the brace. When repaired, the branch split under the brace and the re-solder job didn’t seat the leak….I’ve a picture of the little split somewhere and if I find it I’ll post it.